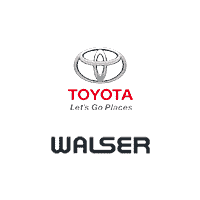 First, we do a thorough visible inspection and road test to determine that the vehicle is good enough to become a Walser used car. Next, we conduct a comprehensive mechanical inspection and repair to ensure that the vehicle is in perfect working order. Our physical appearance process gives the vehicle a like-new look. The vehicle is washed, buffed, receives touch-ups and is extensively detailed. Our expert paintless dent repair technicians make sure the vehicle looks as good as it runs. Finally, photographs and a Carfax history report are uploaded to the web to give you all the information you need to make an informed buying decision.